ACTION NEEDED: The U.S. Senate should confirm Ex-Im Bank President/Chair nominee Kimberly Reed and continue the process to restore the quorum and full authority to the Ex-Im Bank before any more harm is done to U.S. exporters and the workers they employ. Please write or call your members. Tell them to vote in support of the Ex-Im Bank. The California Chamber of Commerce is urging members to ask California’s two U.S. senators to support restoring a quorum to the Export-Import Bank. Since July 2015, the Ex-Im Bank has not had a quorum and so is limited to approving transactions of $10 million or less, meaning numerous lost opportunities for U.S. businesses and their workers. The CalChamber is asking members to follow its lead in sending letters to U.S. Senators Dianne Feinstein and Kamala Harris supporting the nomination of Kimberly Reed to serve as President/Chair of the Ex-Im Bank and to continue the process to bring the Ex-Im Bank Board to a full quorum as promptly as possible. An overwhelming majority in Congress voted to fully reauthorize the Ex-Im Bank in December 2015. Nevertheless, the chairman of the U.S. Senate Banking Committee stymied the bank’s full restoration by blocking action on nominees required to achieve a quorum for the Ex-Im Bank Board in 2016. The bank’s inability to approve transactions exceeding $10 million extends the profound impact of the quorum lapse to larger exporters, the thousands of smaller companies that supply them, and the hundreds of thousands of workers whose jobs depend on exports. The hundreds of workers at large businesses are not the only ones affected by lost U.S. export transactions; there are strong ripple effects on the many small and medium-sized enterprises throughout the larger companies’ supply chains. The United States is home to some of the largest supply chains in the world. Sales and employees in these supply chains depend on exports of larger clients, financed by Ex-Im. Uncertainty for large clients means diminished purchasing, which means fewer sales and has a direct impact on jobs in cities and towns across the country. With economic growth and job creation the top priorities for the United States, Ex-Im has an important role to play. 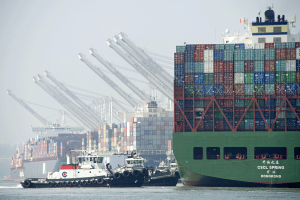 Trade offers the opportunity to expand the role of California’s exports. As one of the top economies in the world with a gross state product of more than $2.7 trillion., California exported $171.9 billion to approximately 229 foreign markets in 2017. In its September 25 letter to California’s two U.S. senators, the CalChamber explains the importance of confirming nominees to the Ex-Im Board to return it to a quorum. Failure to restore the full authority of the bank will seriously disadvantage U.S. companies—small and large—in foreign markets, potentially resulting in the loss of thousands of U.S. jobs. On August 20, the U.S. Senate Banking Committee voted to advance the nomination of Reed to head the ExIm Bank for a term ending on January 20, 2021. The committee vote was a unanimous 25-0. The full U.S. Senate is expected to act on confirming the nomination this fall. Ex-Im has a proven record of success, and turns a profit for the U.S. taxpayer. Since 2009, Ex-Im has refunded $4.8 billion to the U.S. Treasury above all costs and loss reserves. Small businesses accounted for approximately 91% of Ex-Im’s transactions in the 2017 fiscal year; further, these small business transaction figures are in addition to the tens of thousands of small and medium-sized businesses that supply goods and services to large exporters. In the 2017 fiscal year, Ex-Im provided almost $2.2 billion in financing and insurance for U.S. small businesses. In 2017 alone, Ex-Im Bank assisted nearly 200 California exporters, helping to support almost $900 million in exports. Over the last five years, the bank authorized $6 billion in financing to support $1.3 billion of California exports. Over this period, Ex-Im supported nearly 670 California exporters, 500 of which were small businesses, including approximately 200 minority-owned and women-owned enterprises. On Friday, December 4, 2015, President Obama signed legislation to re-authorize the Export-Import Bank. This action will extend the bank’s charter by five years until 2019. According to The Hill, the renewal of the 81-year-old institution’s charter was included in a five-year, $305 billion federal transportation measure that passed the Senate late Thursday on an 83-16 vote, only one day ahead of the expiration of the latest short-term funding patch. The House passed the bill earlier in the day on a 359-65 vote. Click HERE to see how your Senators voted, and HERE to see how your Member of Congress voted. Ex-Im Bank enables U.S. companies — large and small — to turn export opportunities into real sales that help to maintain and create U.S. jobs and contribute to a stronger national economy. Ex-Im Bank provides working capital guarantees (pre-export financing); export credit insurance; and loan guarantees and direct loans (buyer financing). No transaction is too large or too small. In FY 2016, nearly 90 percent of Ex-I’m Bank’s transactions were for American small businesses. With 80 years of experience, Ex-Im Bank has supported more than $567 billion of U.S. exports, primarily to developing markets worldwide. The Export-Import Bank has the mission of supporting U.S. jobs through exports. 60 other nations have similar export financing mechanisms. 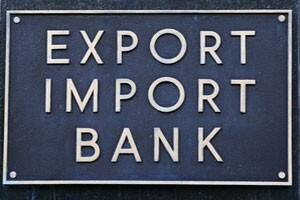 In addition to supporting U.S. jobs, the Ex-Im Bank is a self-sustaining agency that operates at no net cost to the taxpayers. Ex-Im Bank pays for itself by charging fees or interest to its customers for loans, credit insurance and loan guarantees that they receive. The U.S. Export-Import Bank has a proven record of success, and the myths questioning its need and effectiveness have no basis in fact. Far from being a burden on the taxpayer, Ex-Im turns a profit for the American taxpayer. Nor does Ex-Im help only big business. In fact, small businesses account for the majority of Ex- Im’s transactions; further, these small business transaction figures are in addition to the tens of thousands of small and medium-sized businesses that supply goods and services to large exporters.